This was the second time the board had voted on the proposal and the second time it was defeated. BELGRADE — A proposed Traffic Control and Parking Ordinance was defeated Tuesday for the second time in four weeks, as business owners and town leaders expressed concern about hurting local businesses. This time all five members of the Board of Selectpersons were available to vote, and it was rejected 3-2. The ordinance would have prohibited parking on a sidewalk, in front of a driveway, in an intersection, where official signs prohibit parking, within 20 feet of a fire hydrant, on a bridge and in the travel lane. Selectmen’s Chairman Gary Mahler, who voted in favor of the ordinance on July 18, opted to change sides on the re-vote Tuesday night. 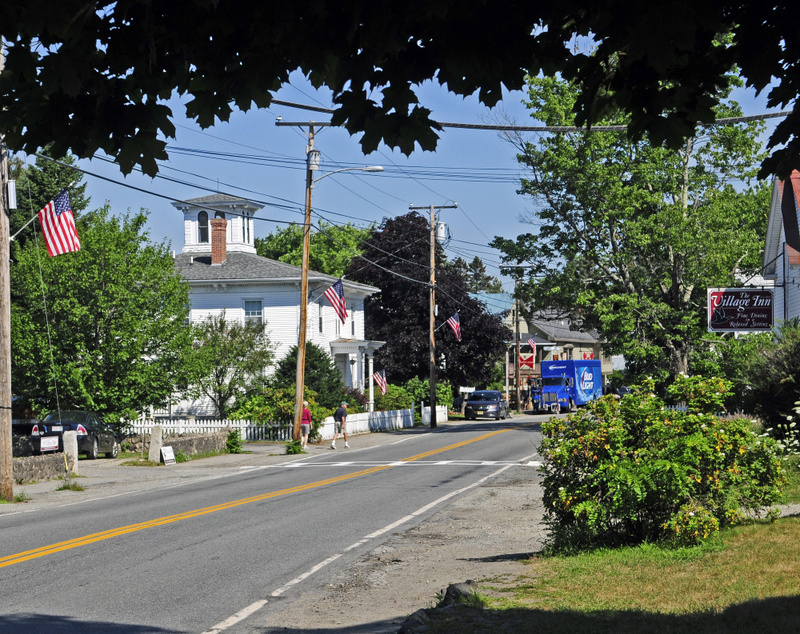 The state Department of Transportation has a 2018 project to reconstruct about a half-mile of Main Street in the center of the village. The road reconstruction includes marking out parking spaces along the road in the business area. Currently, vehicles park wherever possible — sometimes haphazardly — in the popular summer tourist destination. The voting came after a 45-minute public hearing where residents’ sentiment appeared uniformly opposed to the ordinance and the discussion was occasionally heated, with people talking loudly. Much of the discussion focused on parking, a perennial problem in the Belgrade Lakes village area which is on a narrow isthmus of land between Great and Long ponds. Two selectmen, Rick Damren and Ernie Rice, were strongly opposed to the proposed ordinance. “I think we’re putting the cart before the horse,” Damren said. Rice, who had previously indicated he did not favor adopting new ordinances, said he would be more willing to deal with the proposed ordinance later. Kate Beales, owner of the Village Inn, said the current congestion in the area actually slows traffic, which she regards as a good thing. She was concerned that any enforcement of a traffic ordinance — coupled with what appears to be fewer parking spots — would harm businesses. Selectman Michael Barrett — who sponsored a successful motion at the Aug. 1 meeting to have the ordinance reconsidered — said the parking ordinance had seven restrictions. Selectman Ernst Merckens said, “If we have serious, acute violations, this will give us the teeth we can act with.” Both Barrett and Merckens voted in favor of passage. Town Manager Dennis Keschl said he had prepared the proposed ordinance after being told by a member of the town’s Recreation Committee, that 35 people were concerned that there was no parking available at the town beach on Long Pond because the owner of lakeside rental cottage had his guests park there. Keschl said he realized the town had no vehicle to enforce a parking ordinance, so he prepared the proposed ordinance, which included a provision requiring property owners to clear snow from the sidewalks. The latter provision was removed from the ordinance prior to the vote. Resident Mary Vogel asked whether anyone had discussed the matter with the owner of the rental cottage, and Keschl said he had not done so.